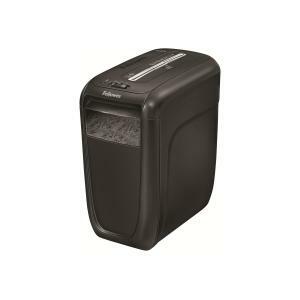 The Fellowes Powershred 60Cs Cross-Cut Shredder is ideal for light/medium usage (for 1 user). Shreds 10 sheets per pass into 3.9 x 50 mm cross-cut particles (Security Level P-3) . Features patented SafeSense Technology which automatically stops shredding when hands touch the paper entry. 22 L lift-off head bin ensures easy waste disposal. 2-year machine warranty and 5-year cutter warranty.